Make great wines from genuine varietal grape juices. 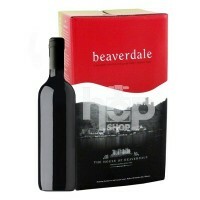 A popular range of wine kits which are used with great success by both novices and experienced wine makers. These are available in 1 & 5 gallon sizes (6 or 30 bottles) & make great wine. Based on the instructions, the varietals in this range take about 3 weeks to ferment through. For those who prefer greater body or depth to their wines, consider reducing the amount of water added or substituting grape concentrate as elsewhere on the Website.